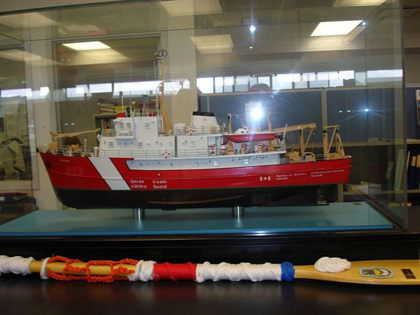 What happens at the Coast Guard Facility in James Bay? I walk by there almost every day and notice the coloured bouys and piles of chains in rows but never knew what really goes on in there. It’s a big and busy place with a variety of functions and buildings to house them on the other side of that chain link fence.